My daughters LOVE grilled cheese. 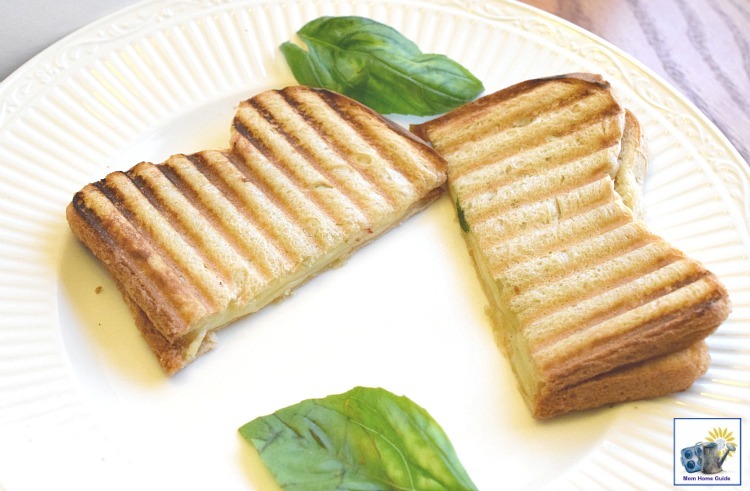 I used to make grilled cheese only occasionally until I got my panini press . Now, I make grilled cheese all the time! My daughters can enjoy grilled cheese for breakfast, lunch or dinner! 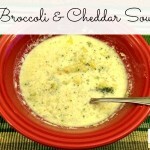 In fact, my daughters and I had a grilled cheese sandwich with a bowl of soup for dinner today! It’s easy to make a grilled cheese sandwich with a panini press because it griddles the sandwich on both sides at once, making the process of making a grilled cheese sandwich very quick! 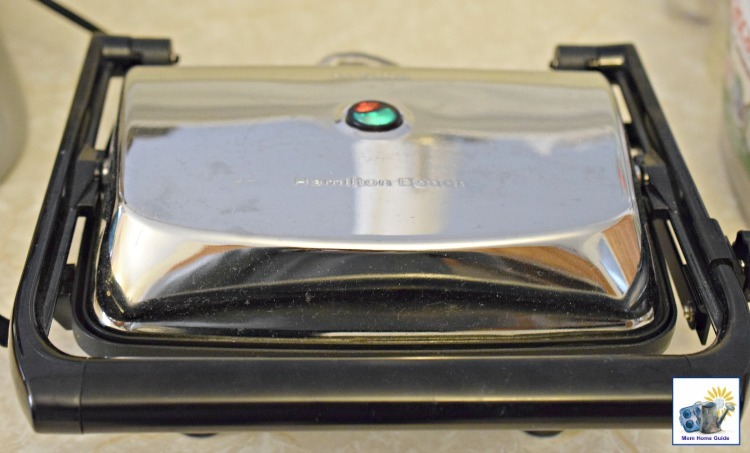 I use my panini press so frequently that I often just leave it out on my kitchen counter. 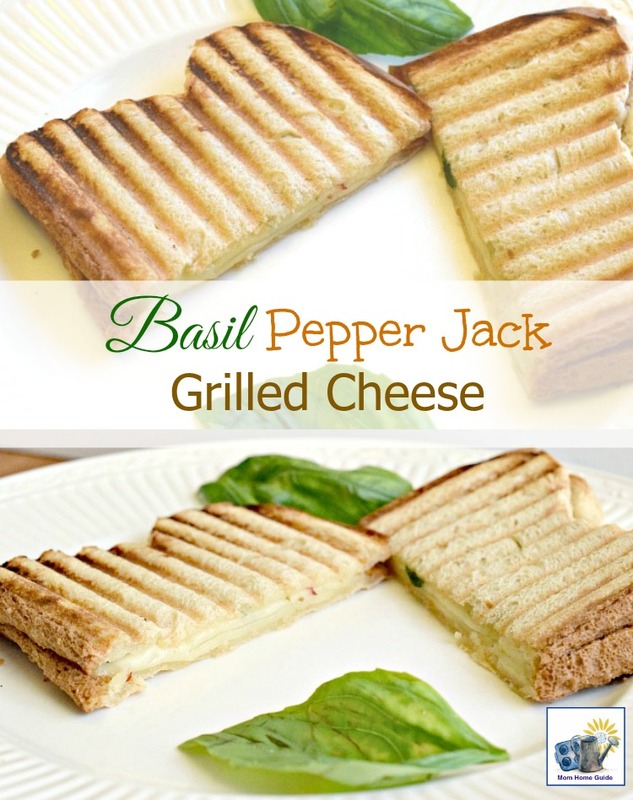 One of our favorite grilled cheese combinations is a grilled cheese sandwich made with a slice each of provolone and pepper jack cheeses and a little bit of basil. This sandwich is so tasty! On that buttered slice, I then place a slice of provolone cheese, a slice of pepper jack cheese and bits of fresh basil leaf. I top it all with another piece of white bread. Then, all that’s left to do is place the sandwich in my panini press and close, pressing down. In a matter of minutes, I have the perfect grilled cheese sandwich! 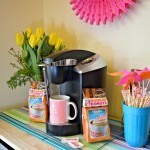 This post was shared at theParty in Your PJS, Creative Spark Link Party, Inspiration Spotlight Linkup Party, Fiesta Friday, Project Inspired Link Party, Pin Junkie Pin Party, Freedom Fridays and the Creativity Unleashed Link Party. Butter one slice of white bread on one side. 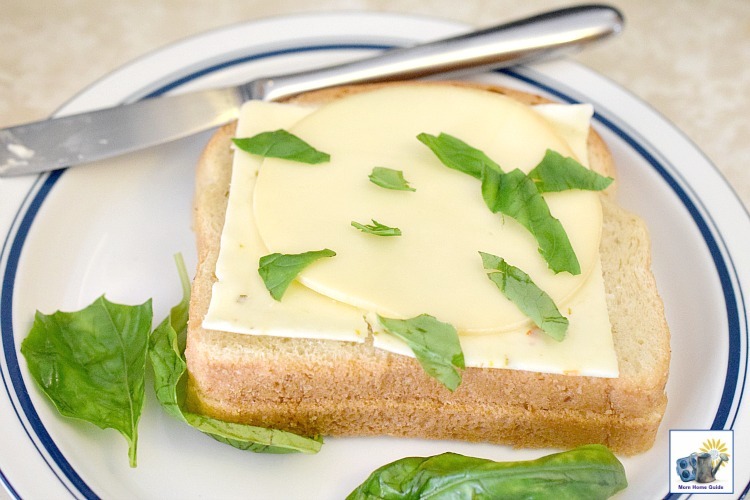 On the buttered side of the bread, place one slice provolone cheese, one slice pepper jack cheese and some torn fresh basil. Place second piece of bread on the top of the sandwich. Remove your grilled cheese sandwich from the grill. Unplug your grill. Slice your sandwich and serve! You may want to serve your grilled cheese sandwich with a warm bowl of tomato soup -- yum! 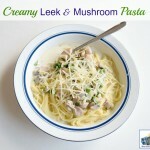 This looks good for something different to eat for lunch during the day when I am home. My kids are so weird, they don’t like grilled cheese or toasted sandwiches! They are def. missing out. 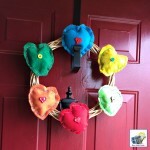 Carrie @ Curly Crafty Mom recently posted…Thursday Fashion Files Link Up #48: Heart Sweater + PinkBlush Giveaway! Thanks for stopping by, Carrie! This sandwich is so yummy — you should try it! Yummy! Thanks for being at FF this week! Super simple and oh-so-delicious. what’s not to love about grilled cheese? Thanks, Aruna! 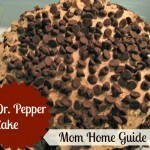 My kids love this recipe! It was so nice of you to stop by! 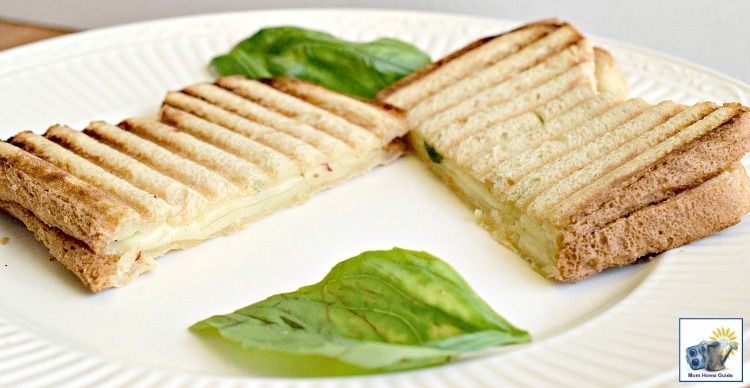 What a clever idea to flavor the grilled cheese sandwich with fresh basil! 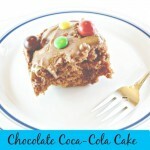 I can imagine it must taste delicious! Thanks for bringing this to Fiesta Friday! This grilled cheese sounds delicious Lauren! I love my sandwiches grilled, and you did a perfect job with yours! Thanks so much, Julie! Thanks for stopping by!